Lotto 6/49 is Canadian lottery game of chance that was created in 1982, and is offered by the Interprovincial Lottery Corporation, originally an alliance of the five regional and provincial lottery corporations that cover all of Canada territories. Canada Lotto 6/49 has begun in 1985, to hold the lottery game draws twice a week, every Wednesday and Saturday. In 2004, we have seen another changes with raising the starting amount of the jackpot from CAD$3 million to CAD$3.5 million. On the right picture: Canada Lotto 6/49 printed lottery tickets sold at local shop. Canada Lotto 6/49 cannot compete with „huge" American lottery games like Powerball or MegaMillions. However, this lottery game still provide nice prizes for players and produced Canada's largest jackpot of CAD$ 54.3 million in 2005. We will see more changes to this Canadian lottery game soon. There is a pressure to guarantee to create a millionaire with every draw. We are sure that this mean two millionaires every week. Every player will receive a special unique number exclusively for the new CAD $1 million prize. That's really exciting news! There is more as Canada Lotto 6/49 first prize (jackpot) will start at CAD $5,000,000. On the left picture: Canada 6/49 Lotto blank play-slip. To play this Canadian lottery game, a player picks six numbers from the range of numbers from 1 to 49. Seven balls are drawn at random, the first six are main numbers form the winning selection and the 7th ball represents the bonus number. There are six ways to match and win in different categories (divisions). In order to win the smallest prize, you need to hit only two main balls and the bonus number you win a prize. On the right picture: Canada Lotto 6/49 player chooses his personal lucky numbers. This 6/49 lotto featuring jackpots of at least CAD$5 million nowadays, which rolls-over every time there is no winner of the first prize. However, in order to win first prize, you must correctly guess all of the six main numbers drawn from a range of 1-49. There is also a bonus ball drawn, but it is counted towards secondary prizes only. We welcome all that great changes made to this lotto game. Now this Canadian lottery guarantees to create a millionaire with every draw, which means two millionaires a week. Every player receive a unique 10-digit number for every line she/he buys exclusively for the CAN$ 1 million prize. Enjoy! Canada Lotto 6/49 is drawn every Wednesday and Saturday 21:00 local time, mean 9:00 PM. 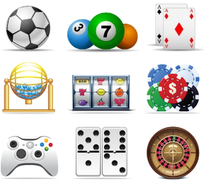 Lotto 6/49 jackpots and all the major prizes are paid in a single payment, in cash. Canadian Lottery winnings are not taxable. Thus, no federal or provincial taxes are payable on the winnings. The odds to win the smallest prize in Canada Lotto 6/49 are as 1:8 and you need to hit two regular numbers, to win this mentioned division prize. However, if you want to win the first prize, mean Canada Lotto 6/49 jackpot, the odds of winning are as 1:13,983,816. Please check the latest Canada Lotto 6/49 results, upcoming next draw date and upcoming jackpot figure, right below or at the beginning of this page. Canada Lotto 6/49 is available to play from any place in the World, using credit card, debit card and other electronic payment methods, including PayPal, Skrill/Moneybookers or bank transfer. If you can’t get to beautiful Canada in person, you can buy Canada Lotto 6/49 tickets online, easily, simply and fast. Enter the next Canada Lotto 6/49 draw online each Wednesday and Saturday! All you have to do is to click "PLAY" above, or click the button below. Thank you! The couple Chris and Christina Schultz-Lorentzen from Maple Ridge, Vancouver, BC. in Canada, who are then expecting child number 6, have matched all six numbers in last week's (as for October 31, 2011) Canadian Lotto 6/49 draw to win the C$6 million jackpot. On the right picture: Christina (33) and her husband Chris (42) were hoping to win a C$100,000 a year for life. Instead they bagged Can$6 million in Canadian 6/49 Lotto jackpot. There are many interesting things happened in this particular draw. Many shops in China display the number 666 in their windows as a token of good luck. For Chris and Christina Schultz-Lorentzen, number six has turned up trumps, mean child 6, six winning numbers and C$6 million prize. There are more: Christina, age 33 (3+3=6), Chris, age 42 (4+2=6) and Lotto 6/49. Amazing! By the way, the winning lotto ticket was purchased at the Esso Gas Station on East Hastings Street and Skeena Street in Vancouver, in Canada. She and her husband Chris say they haven't decided on any long-term plans for the money, but will invest in the family in the short-term.